Feature Rich Phones and More. 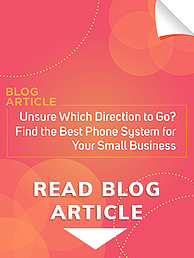 Does your old phone system meet the needs of your business, now and into the future? Boost production with the newest technology from sipVine and never replace your system again! 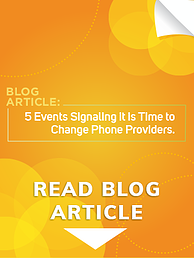 Does your telephone service provider REALLY know you? sipVine customizes our Hosted VoIP service to be specific to your business and becomes your personal phone department! Are you frustrated by being tied to a term contract from a provider who isn't incented to perform? sipVine strives to earn your business every day, and you will feel that difference. Businesses of All Shapes & Sizes. Whether you are a small business in a single location, or a multi-location business with employees in the field, sipVine has a customized service for you. From healthcare to manufacturing, law firms to non-profits, sipVine's services will apply to you. sipVine customers experience the value of a customer-focused organization driven by a desire to deliver cutting-edge VoIP technology and unparalleled satisfaction! sipVine provides are great. In two years I've never had one billing or technical problem with sipVine." "IdleSmart has used sipVine for over 6 years and can't think of a better partner. The phones, service quality and dashboard capabilities are all great. The support is outstanding with a smart team that is incredibly easy to work with on any issue. I cannot recommend sipVine more highly."